According to its history, the Hollywood sign is more than just 9 white letters spelling out the city's name. Would you believe before the hollywood sign existed, the place where the sign is today used to be the home of citrus groves and stray camels? And that was wayback 18th century until the year 1916. 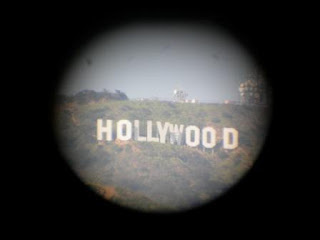 By the year 1920, Hollywood boomed and America was film-crazed. The sign then arrived on the scene the year 1923. 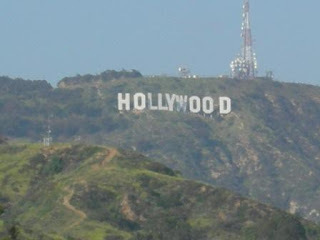 The Hollywood sign rests on top of Mt. Lee Perch that can be visibly seen for miles. It's known to be one of the most photographed in Hollywood and a mecca for millions of tourists and visitors who come to take pictures each year. The Hollywood and Highland - located on the corner of Hollywood Blvd. and Highland Ave. Entry to the public parking is on the Highland, north of Hollywood Blvd. Other options are through Metro Rail Red Line or by taking the Highland Ave. and exit from the 101 highway. Beachwood Canyon Drive - You can take good photo shots here at Glen Holly, Glen Oak and Cheremoya. These streets are located north of Franklin Ave. which is the next major east/west street north of Hollywood Blvd. Gower Boulevard - This place provides similar views as that of Beachwood Canyon, only that the sign is much easier to see. Lake Hollywood - getting here is a little bit tricky but half the fun. Exit Barham Blvd. from 101 highway. Take Barham east to lake hollywood drive. Turn right on lake Hollywood Dr. and follow top of the hill. Lake Hollywood Dr. bears sharply to the right once you're on top of the hill. At the bottom of the hill, - bear sharply to the left onto Montlake Drive. Follow Montlake to Tahoe. Turn left on Tahoe to Canyon Lake, turn right, then proceed up the hill. On your left will then be a park - topped by a big, beautiful white sign.